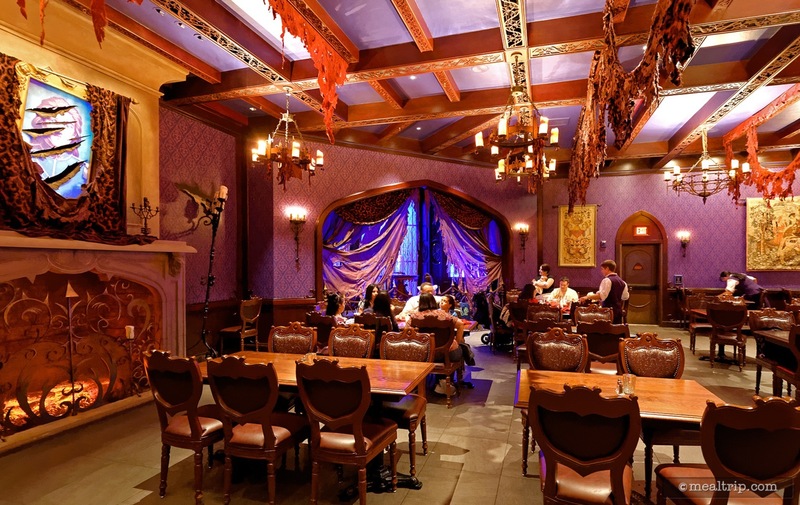 There are three themed rooms in the spacious Be Out Guest Restaurant, but often times, only the main dining room featuring floor to ceiling windows and the darker West Wing are used for seating guests. Lunch is a quick service affair that starts with selecting your meal options from touch-screen kiosks, and once prepared, your meal will be brought to your table. 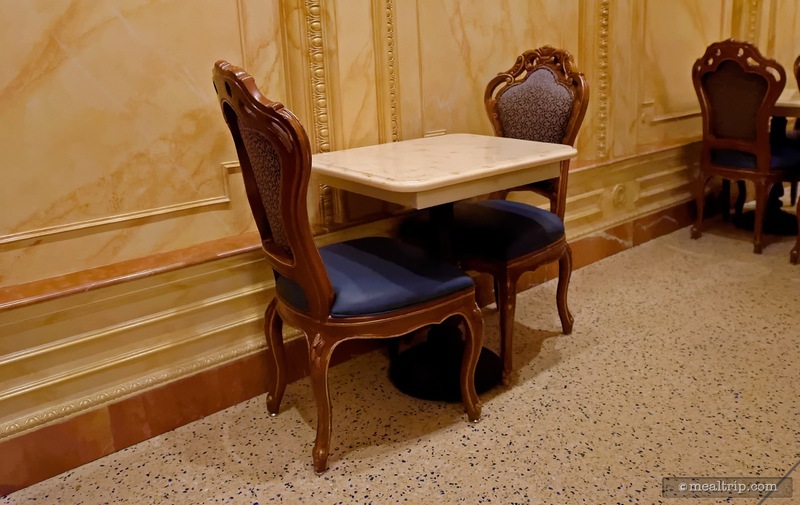 You can now even use the Fastpass system to reserve a seat and pre-order your food selections. Sandwiches, salads and quiche are featured on the light French-American menu. 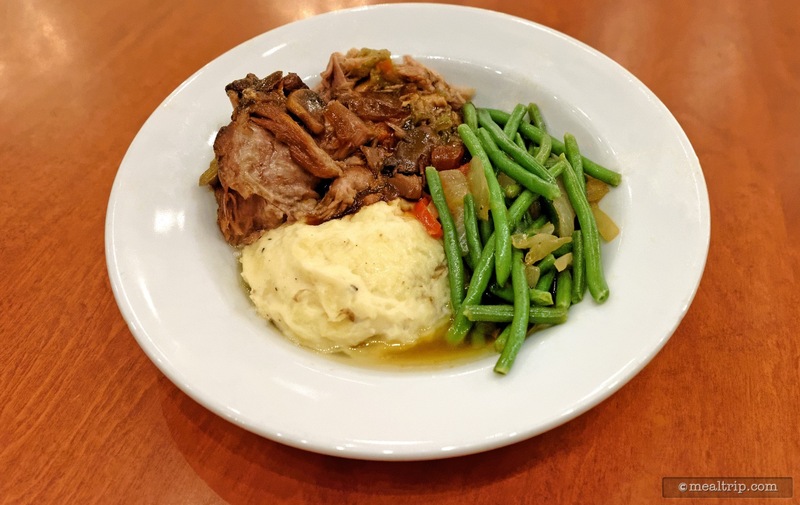 An all day braised pork dish (Coq Au Vin style), is a guest favorite. 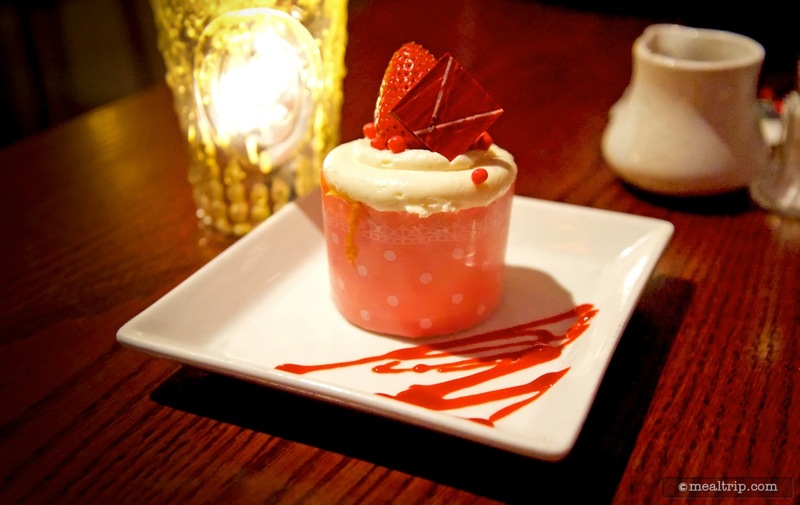 Dessert options include delectable cupcakes and cream puffs. 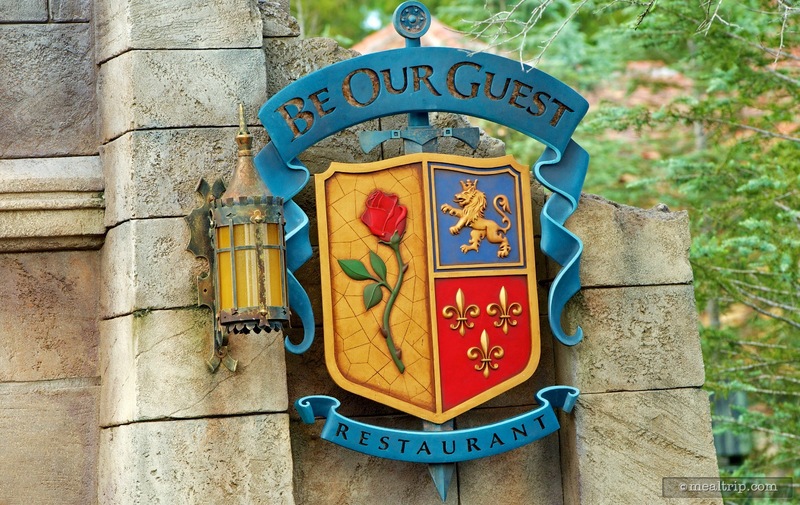 Lunch at Be Our Guest is an interesting mix of self-service and table-service… and is probably the least expensive meal period you can go to at the popular restaurant. The process goes something like this… you order your food from a touch-screen, pay for it, are given a plastic "rose" shaped pager, sit wherever you like in the dining area (or wherever you can find a spot), get your own silverware and beverage, and within just a few minutes, your food is delivered to you by way of a keep warm(ish) cart and a cast member in puffy, purple faux velvet nickers. It's fun. I'm not sure I would want this experience everywhere, but there's interesting talking points throughout the whole activity, and it's a novel way to serve lunch to a large number of people. 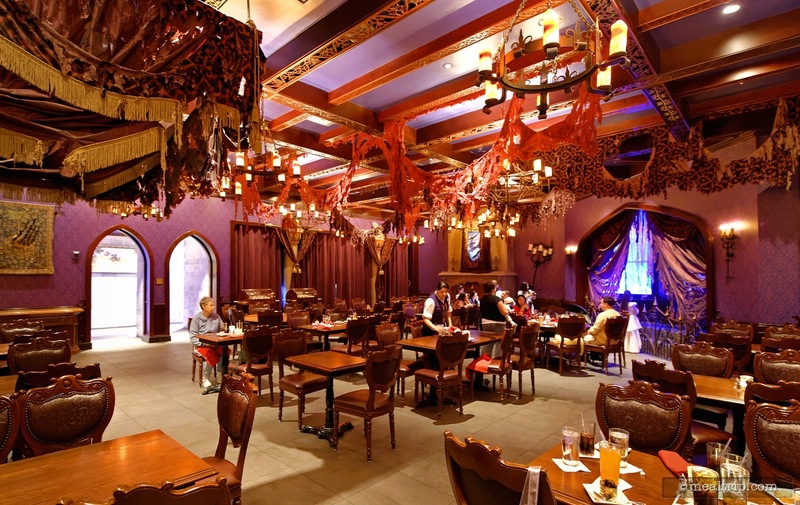 The three dining areas that make up Be Our Guest are all usually available for lunch. 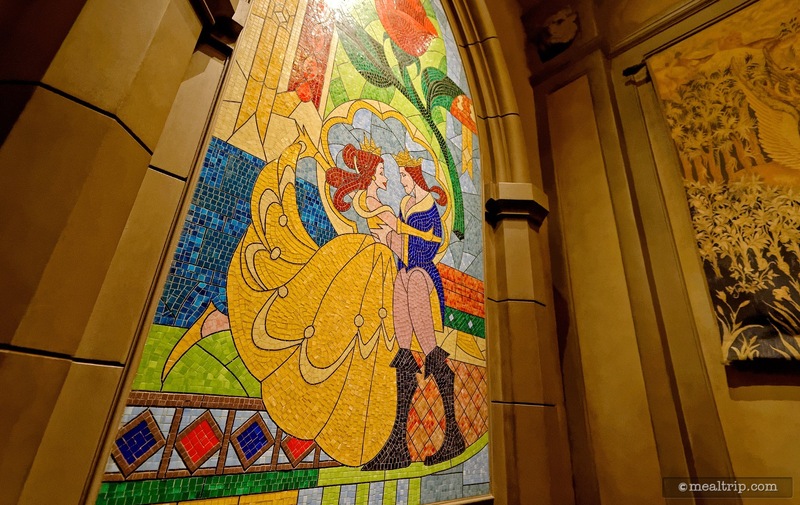 On non-peak days though, they may close the "Rose Gallery" room (the one with all the paintings), and just have the main large Ballroom and the popular, darker "West Wing" open. 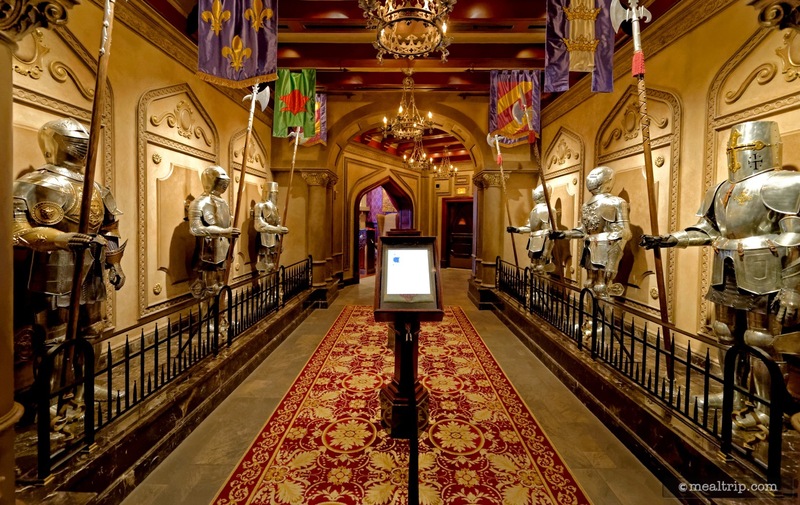 It is a great looking, immersive environment, no matter where you sit and each room even imparts it's own vibe. 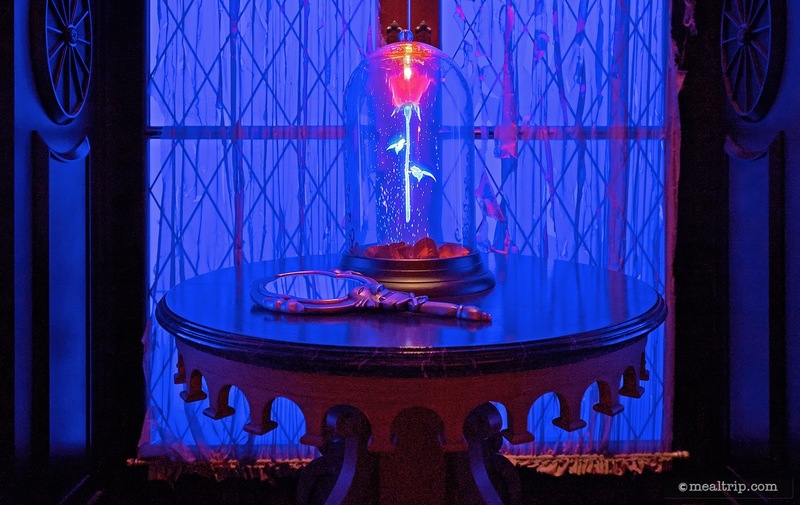 Having no windows (and no doors, wait, that's another attraction)… to let the natural light in, you can really get into the twilight, fairytale feeling of Beauty and the Beast. It's worth noting however, you won't have the space to yourself. 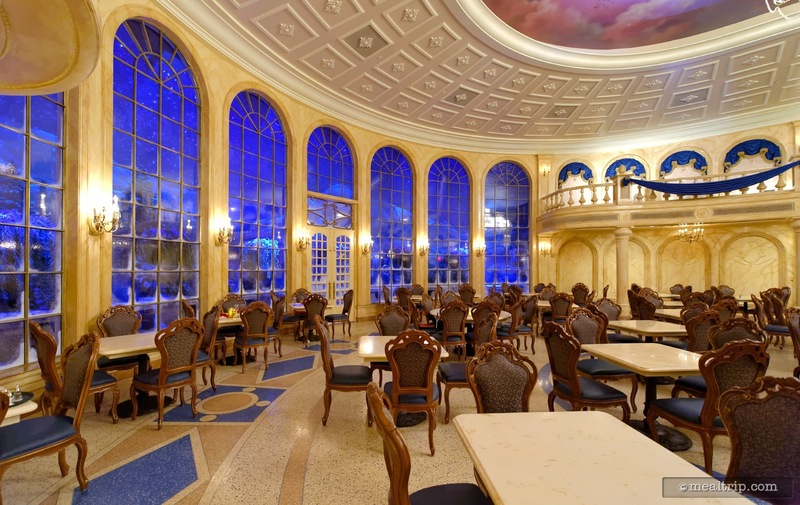 With several hundred other guests around, it can get loud in the main Ballroom area at times… which to a degree, pulls you out of the fairytale, and back into the reality of eating in a giant cafe. Which is another of the misconceptions about this place. It is, at it's heart (and especially at breakfast and lunch), a giant cafe that serves American food with cute French names. If you're thinking "Denny's"… you'll be pleasantly surprised by the food. If you're thinking this is going to be a carefully crafted stroll through French cuisine… you'll be disappointed by the food. 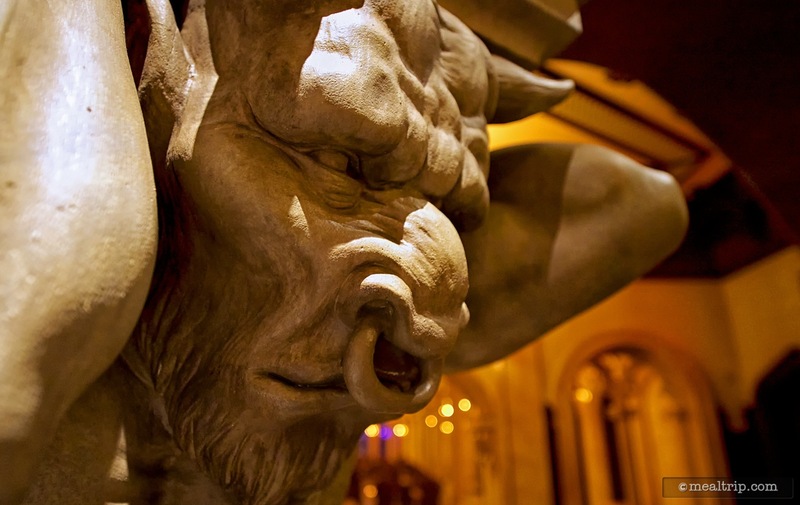 As I mentioned, lunch at Be Our Guest is probably the least expensive of the three meal periods, and my whole reason for stopping by for lunch on this day, was to examine that very idea. 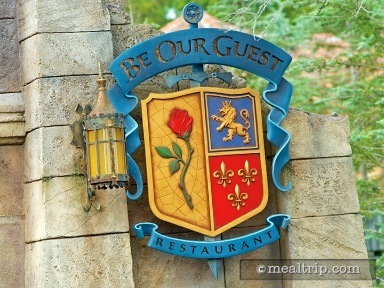 Since Be Our Guest's opening, I have wanted to try the Braised Pork Coq Au Vin Style (i.e. "style" because it's traditionally made with chicken)… because it's one of those items that appears on the Lunch and Dinner menus. At lunch, it's $14.99 (as of late 2015) and served with mashed potatoes and green beans. At dinner, it's $26.99 and the served with pureed cauliflower and "seasonal" vegetables, which are… sometimes… green beans. In full disclosure, I have not yet tried the "dinner" version of the dish, but I can honestly say, I'm not sure how they could make it $12.00 better! It's not traditional French Coq Au Vin of course, but it is delicious and the portion size is pretty decent for $14.99. Slow cooked pork with mushrooms, onions, bacon, and what I can only assume is a slight Burgundy reduction. The quality of the meat was better than I was expecting. If you get the dish and it's too fatty for you, please tell the server, and they'll bring out another one. Fat happens, and it's sometimes hard to see in a high-volume setting. I'm 100% certain they'll have another dish waiting, and ready to go for you. Disney mashed potatoes are just plain awesome,(these were no different), and the green beans were nicely blanched (or at least not overly cooked to the point where they were mushy). At $14.99, it gets a total recommendation from me. I suppose I'll have to try the dinner version at some point, but no matter how good it is, it can't be $12 better. To finish off my lunch, I ordered a lovely yellow cupcake… which is delivered at the same time as your main entree. In fact, everything you order at lunch, all comes out at once, so the notion of having a three course meal is pretty much blown. 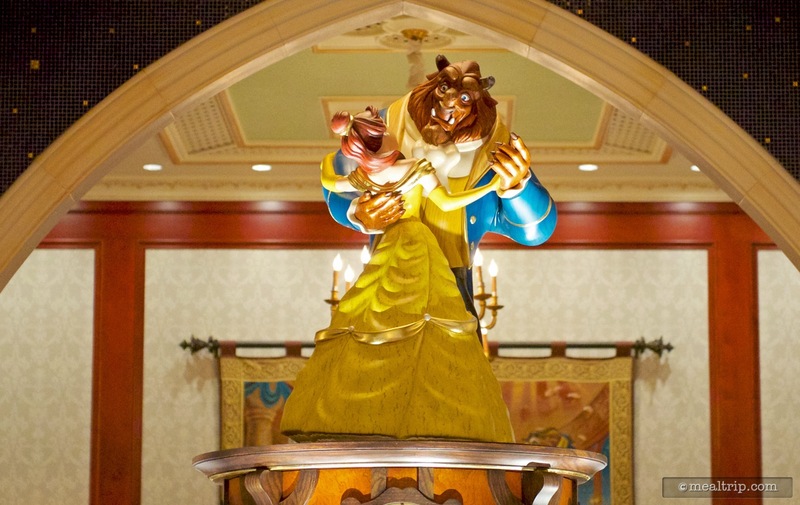 The cupcakes, (and all the desserts) are the same at lunch, as they are at dinner… it's just a bit of the show and spectacle that you would get from a "dessert cart grand entrance" is missing. 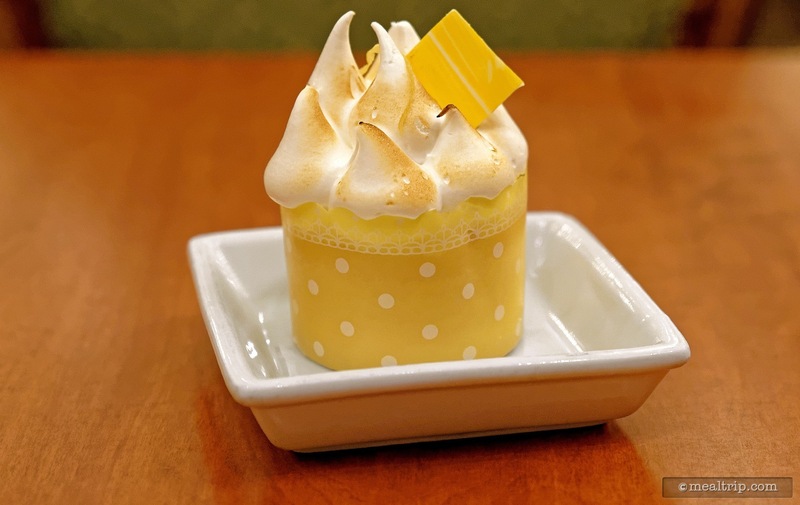 The little yellow cupcake is actually a Lemon Meringue Cupcake featuring Vanilla Sponge Cake, Lemon Custard Filling, and Flamed Meringue Icing. It's nice. At $4.19 I was expecting a little more flavor punch. It doesn't even really hold it's own against many of the designer cupcakes that you'll find at the resorts, and it's smaller as well. Cute, but I'm going to go for an Eclair or a Cream Puff next time and see how those are. All in all though, a great meal at a decent price point. If seeing the inside of this restaurant is on your must do list and you're paying out of pocket, lunch is the way to go. I should also mention, that the large selection of "adult" beverages that Be Our Guest has at dinner, is not available at lunch. So if you really want that bottle of Veuve Clicquot Ponsardin Brut, you're going to need dinner reservations.